Disruption to plane and train travel left many with no choice but driving, boosting the potential for road accidents – and compensation claims. Hopefully we’ve seen the back of the ‘Beast from the East’, the ‘Baby beast’ – and any other relatives – but for some, the effects may linger longer. If you suffer a road traffic accident as a result of snow, ice or other bad weather conditions, what should you do? Firstly, it’s important to understand that the term road traffic accident claim doesn’t only apply to drivers. Snow and ice on the road can result in incidents that can affect not just those behind the wheel of a car but also passengers, cyclists and pedestrians. If that means you, you need to be sure you’ve taken the proper steps to see if you’re entitled to compensation. Ice and snow on the roads is a problem every winter (and spring it seems!) and extra driver care is obviously vital in minimising risks. But when an accident is due to the negligence of someone else, from a legal standpoint it’s important to establish the facts. An experienced solicitor will help you understand the available options based on your personal circumstances. This is important in determining whether any fault lies with another road user, or those responsible for the condition of highways, such as a local authority. Anything from camera images to medical records can be valuable in creating the clearest picture possible to help pursue a compensation claim. None of the above should take precedence over your own safety or anyone else’s, so if you’re unable to follow these, seek legal advice soon after. 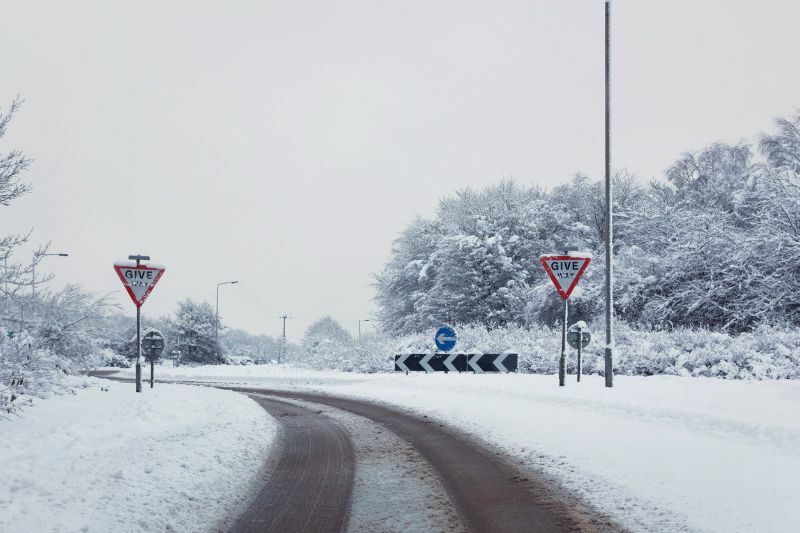 And don’t forget that snow and ice road traffic accident claims can be still be made up to three years after the original incident. The only certain way to not be involved in an accident is to not get in a vehicle – avoid driving or road travel altogether. But for the times it’s unavoidable – essential journeys only – be sure to take these precautions to stay as safe as possible. ‘When people have accidents in weather like we’ve been seeing, there are often extras to consider. ‘As well obvious things like obscured road markings or signs, further issues like road maintenance may need consideration. ‘Local authorities have to keep certain roads as clear as they can but this doesn’t usually extend to minor routes. ‘Plus, everyone from motorcyclists to dog walkers are more likely to slip and slide in such conditions, making it harder to see who’s at fault – if at all. ‘And another consideration is the fact some problems may not even come to light until much later. ‘For example, anxiety over travelling in certain weather may only be triggered by the next time it snows or freezes. To discuss your road traffic accident claim, speak to a member of our experienced RTA team.